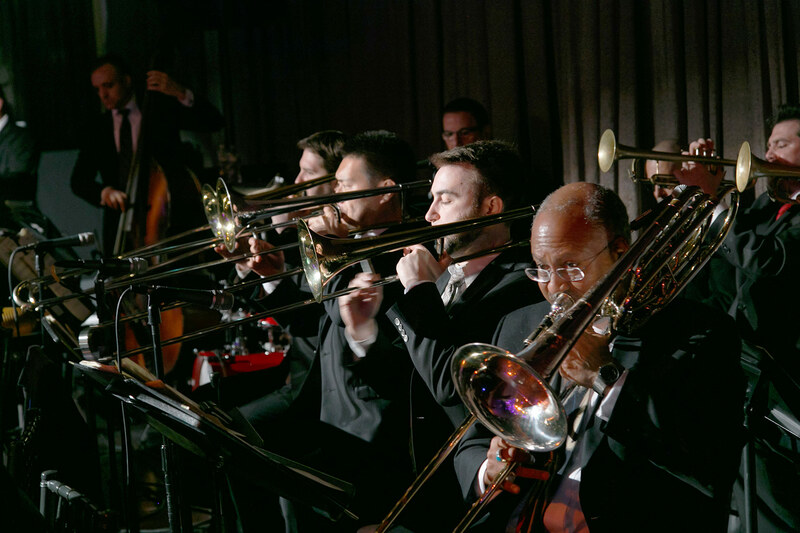 Arturo O'Farrill and the Afro Latin Jazz Orchestra perform the Bulldog Mambo, composed especially for the 2015 Best of Brooklyn Annual Gala by Professor Arturo O’Farrill ’96, Brooklyn College Conservatory of Music. An image of the famed Coney Island Parachute Jump shines from the 2015 Best of Brooklyn Award. Brooklyn College Alumni Association President Jeffrey Sigler ’92, M.A. 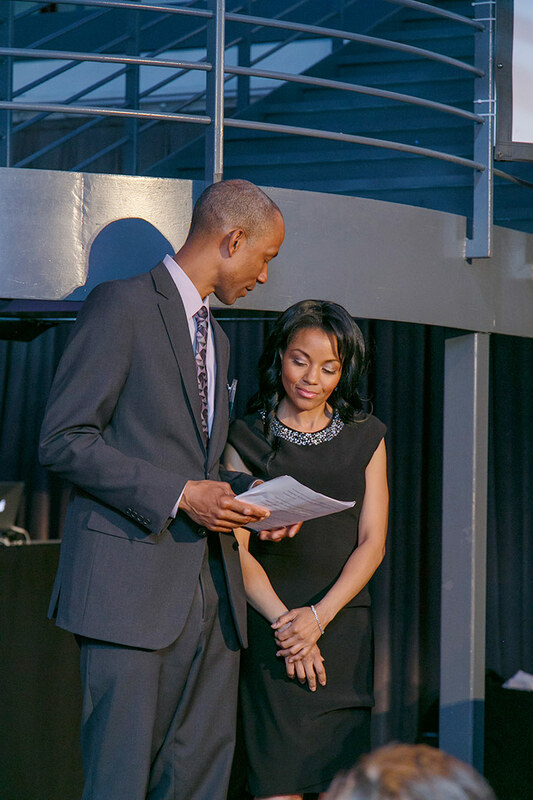 ’95 and new Brooklyn College Foundation Board of Trustees member Doris Bien-Aime ‘13 prepare for their cohosting duties at the 2015 Best of Brooklyn Annual Gala. 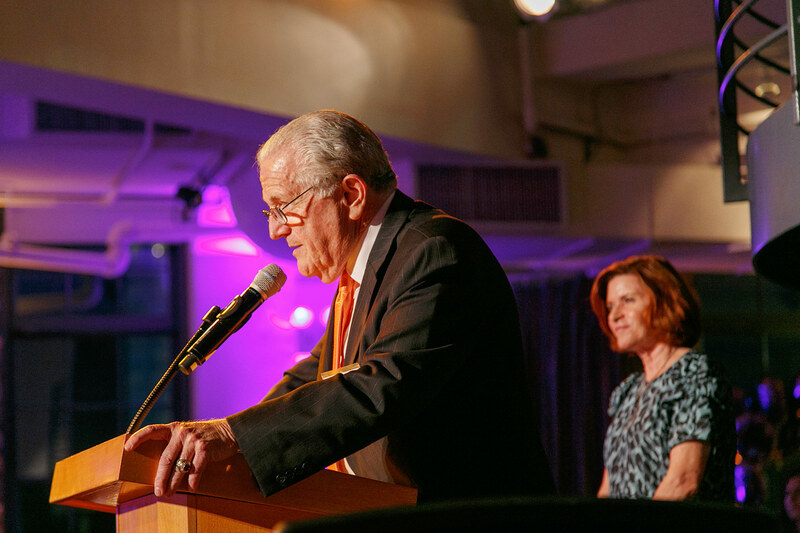 Edwin Cohen, ’62, Chair of the Brooklyn College Foundation Board of Trustees and a longtime supporter of the college, accepts the 2015 Best of Brooklyn Award. 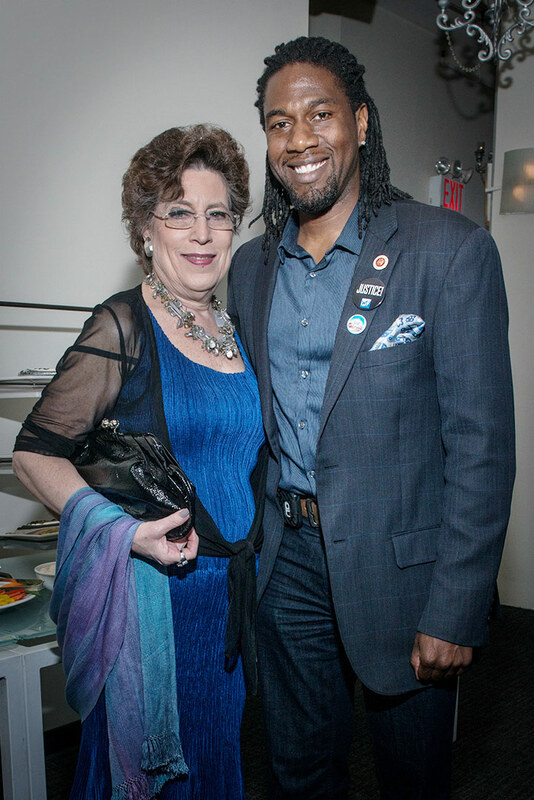 Brooklyn Arts Council President Ella Weiss ’62, M.S.Ed ’65 with Brooklyn City Councilman Jumaane Williams ’01, M.A. ’05. 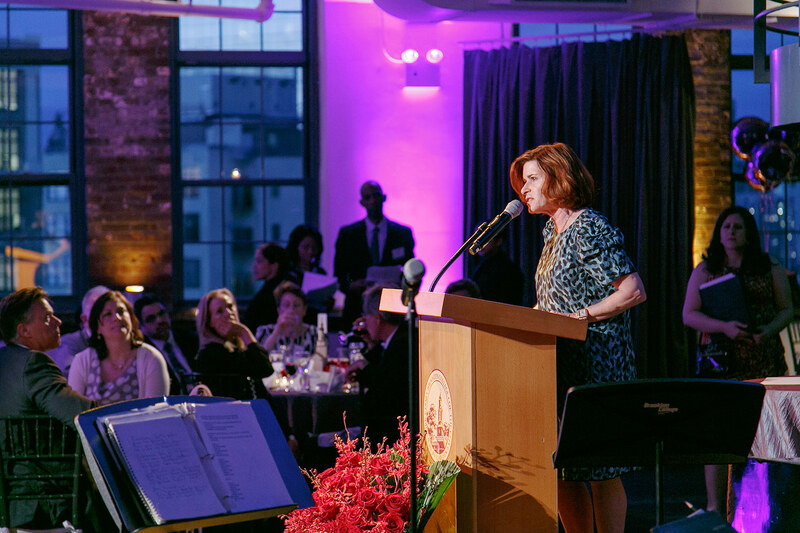 President Gould shares highlights of the college’s year at the Best of Brooklyn Annual Gala. 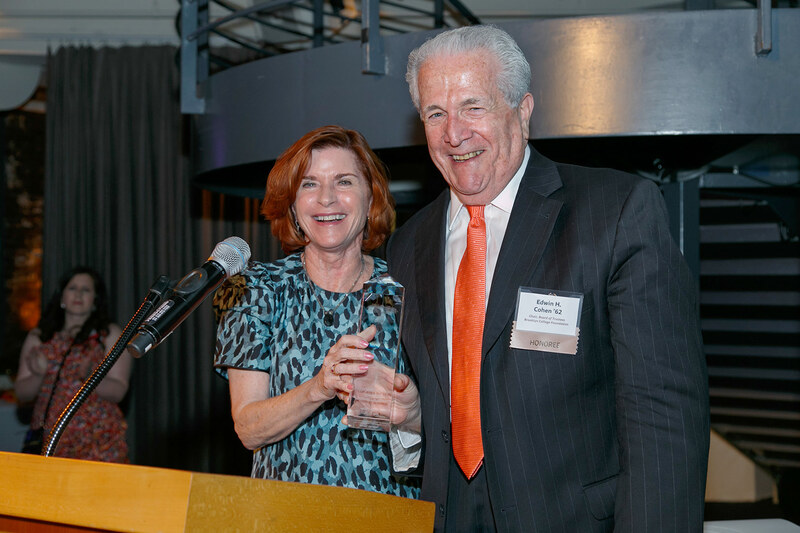 Edwin Cohen ’62, Chair of the Brooklyn College Foundation Board of Trustees, accepts the 2015 Best of Brooklyn Award from President Gould. Best of Brooklyn attendees Marshall Kaplan ’49, who endowed the Marshall G. Kaplan Chair in Municipal Government at the Brooklyn College School of Business this year, and Lorraine Laighold ’64. 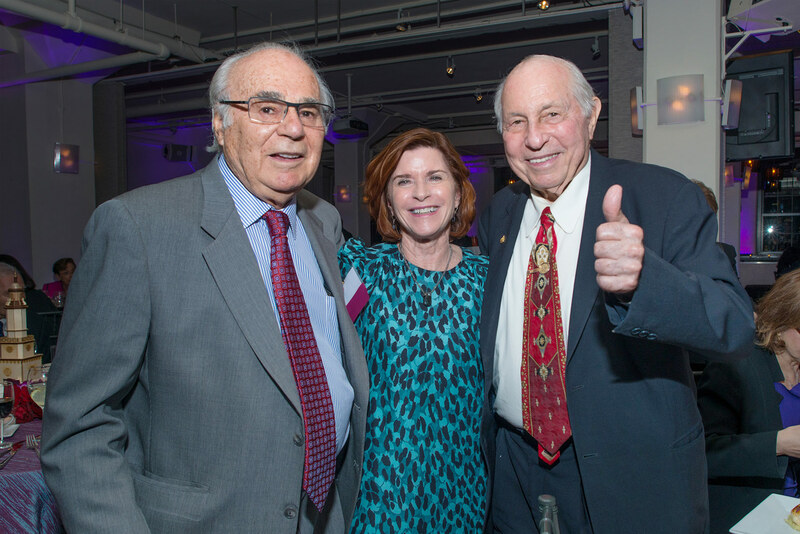 President Gould at the Best of Brooklyn Annual Gala, flanked by Murray Koppelman ’57 (left) and his friend and fellow alumnus, J. Morton Davis ‘57. 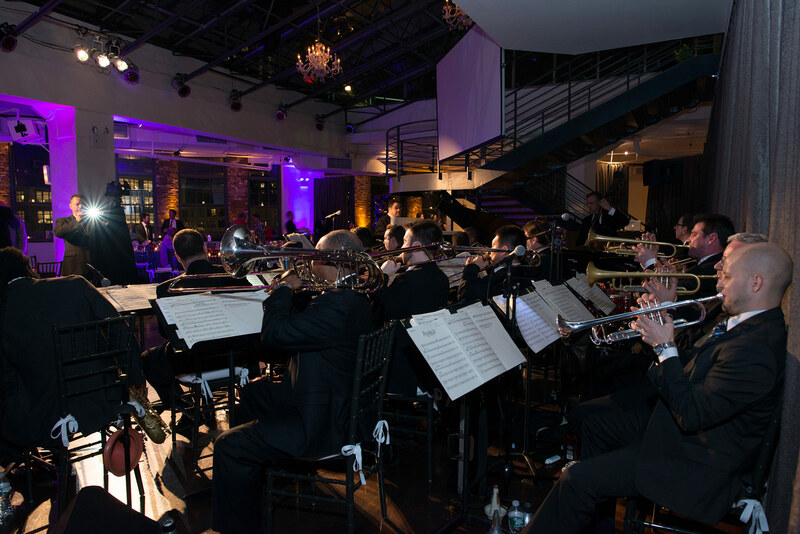 Grammy Award-winning artists Arturo O’Farrill and the Afro Latin Jazz Orchestra perform at the Best of Brooklyn Annual Gala. 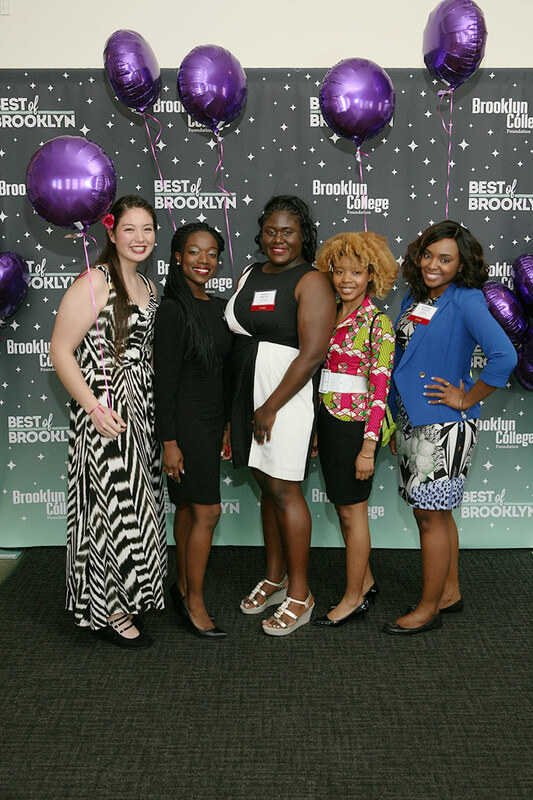 Students Rebecca Harmata ’18, Cassandra Peters ’15, Vanessa Blair ’16, Teanu Reid ’16 and graduate Chrystelle Henri '13 strike a pose at the Best of Brooklyn Annual Gala. 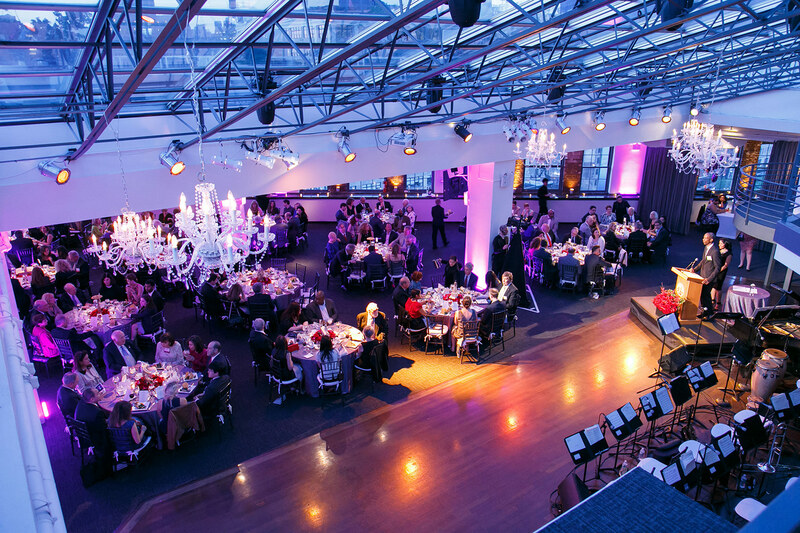 The elegant Tribeca Rooftop hosted the 2015 Best of Brooklyn Annual Gala. 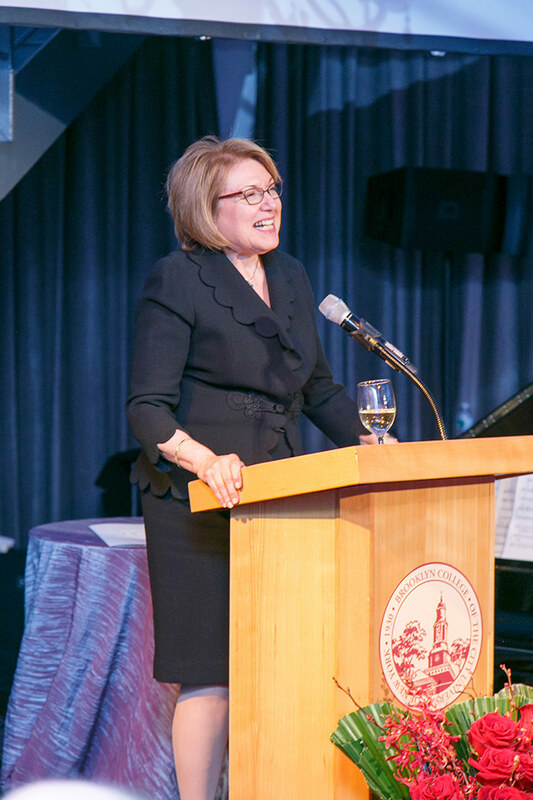 Brooklyn College Foundation Trustee Marge Magner ’69 offers a toast to celebrate a historic year at the 2015 Best of Brooklyn Annual Gala. 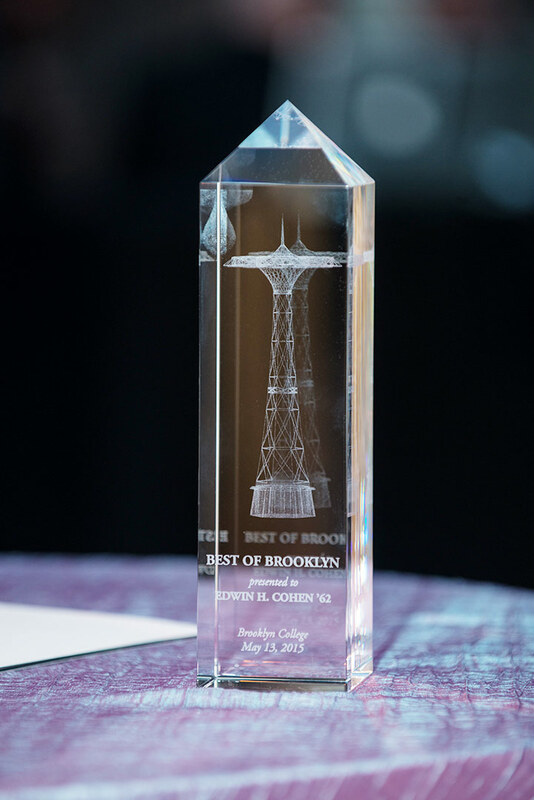 On May 13, 2015, alumnus Edwin Cohen ’62 was honored at the Brooklyn College Foundation’s annual fundraising gala, Best of Brooklyn, at Tribeca Rooftop in downtown Manhattan. Cohen is one of New Jersey’s most respected real estate developers and a principal partner with Prism Capital Partners, LLC, which plays a leading role in residential, commercial and industrial developments throughout New Jersey. 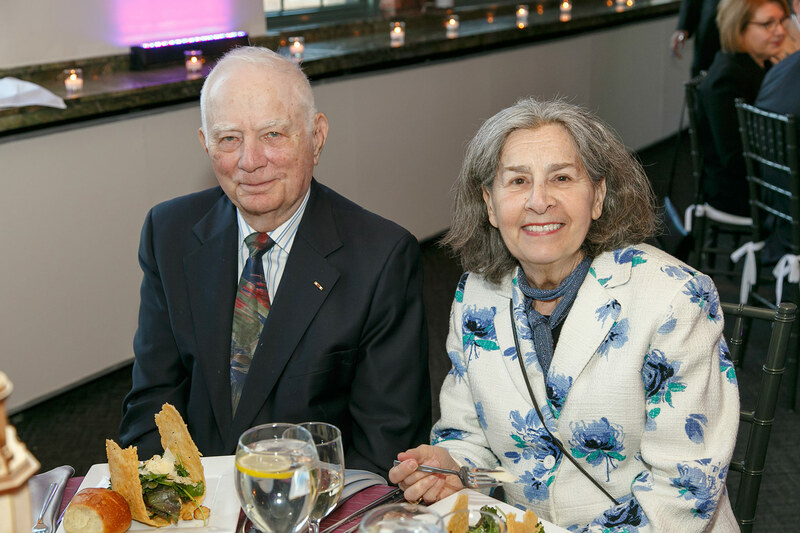 The chairman of the Brooklyn College Foundation Board of Trustees, and a member of the board since 1995, Cohen has been an unfailing supporter and longtime champion of the college. Born and raised in Brooklyn, Cohen came to Brooklyn College with plans to complete pre-engineering courses, and then attend engineering school at City College in Manhattan. But after hearing his businessman brother’s exciting stories about the real estate business, he decided to stay at Brooklyn College and focus on economics to prepare himself for a business career. After graduating in 1962, Cohen built a successful career in real estate. Then, in 2001, he decided to fulfill his dream of becoming a developer and started his current venture, Prism Capital Partners. After acknowledging his wife Doris, daughters, other family, friends, colleagues, and fellow board members at the gala, he thanked Brooklyn College President Karen L. Gould and Vice President Andrew Sillen, executive director of the Brooklyn College Foundation, along with his staff. 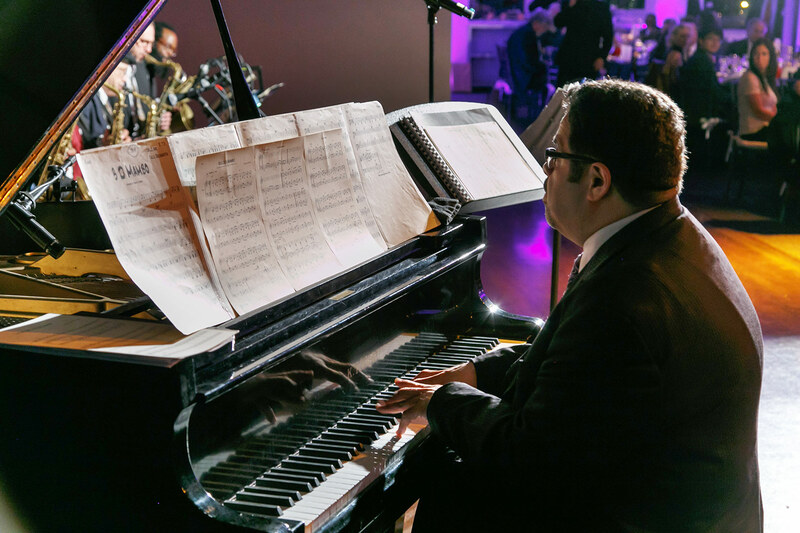 Other highlights of the evening included a performance by Grammy Award–winning artists Arturo O’Farrill and the Afro Latin Jazz Orchestra, winners of the 2015 Best Latin Jazz Album Grammy. Bandleader and educator Arturo O'Farrill ’96 is a professor at the Brooklyn College Conservatory of Music. The gala was co-hosted by Brooklyn College Alumni Association President and Trustee Jeffrey Sigler ’92, ’95 M.S., Doris Bien-Aime ’13, children’s author, youth advocate, brand consultant for luxury beauty and wellness products, and Brooklyn College Foundation trustee.